Looking for a reverb effects unit that can deliver the whole history of reverb effects, from classic spring to high-end studio reverbs? 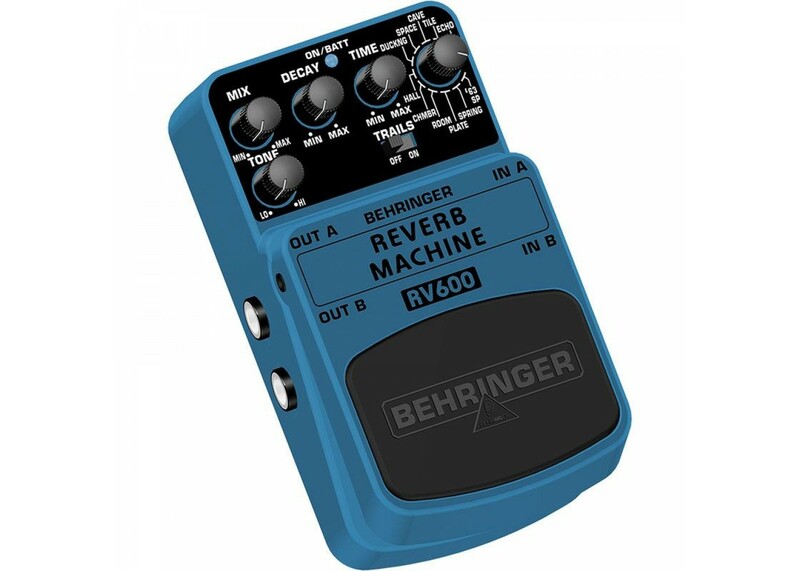 Turn on the RV600 REVERB MACHINE. This stomp box precisely models Ducking, Space, Cave, Tile, Echo, vintage ’63 Spring, Spring, Plate, Room, Chamber and Hall with sound quality comparable to that produced by state-of-the-art studio processors. Adjust separate Mix, Decay, Time and Tone controls plus a separate Trails On / Off switch. What really drives the RV600 is the Real Sound Modeling (RSM) processor with its state-of-the-art DSP technology that closely emulates real acoustic environments. This pedal incorporates a bright blue LED to indicate the power status and battery condition plus a sturdy footswitch which also preserves signal integrity in bypass mode. 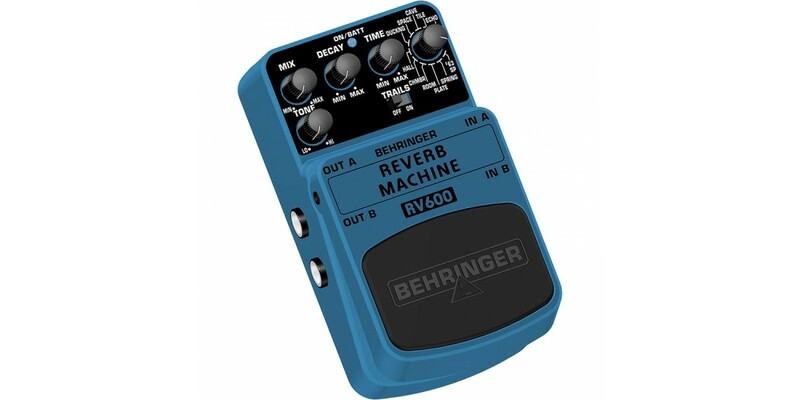 The RV600 operates on a 9 V battery as well as with our BEHRINGER PSU-SB DC power supply. Drench your guitar tone with dripping-wet reverb and soak up the good vibes that come your way!